Topic: Electromobility. 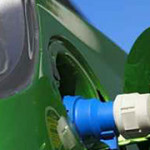 Plasma treatment & nanocoating of electric motors, fuel cells. Hydrophilic, hydrophobic and insulating plasma coating. Functional coating. Wear protection coating for electrode systems. Plasmatreat is your expert contact for specific questions related to industry and research.